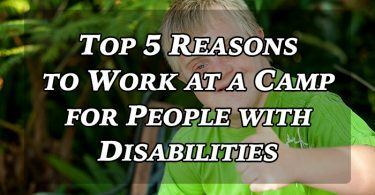 Working at camps or in community recreation is incredibly rewarding in so many ways, but the pay is often less than desirable. Sure, if you’re an executive director for a large YMCA you probably don’t have too many financial woes, but the rest of us could use a little help clearing the cobwebs from our wallets. After paying our bills each month, getting our haircut, buying birthday gifts for little Johnny’s friends, getting the dog washed, buying her a new chew toy, and paying your Netflix membership, what’s left for emergencies, vacation or that new outfit we want? Just a few hundred dollars extra per month can make a huge difference, especially if you decide to save for the holidays and all that comes with it – travel, gifts, food, decorations, ugly sweaters. Don’t forget the Elf on the Shelf or the Mensch on a Bench. Here are 20 ways to earn yourself some extra moola. Who knows, maybe in time you’ll earn enough to quit your job start your own camp. The first item on my list, of course, is the Patchwork Marketplace. Patchwork is a site where camp and recreation professionals can buy and sell downloadable resources. 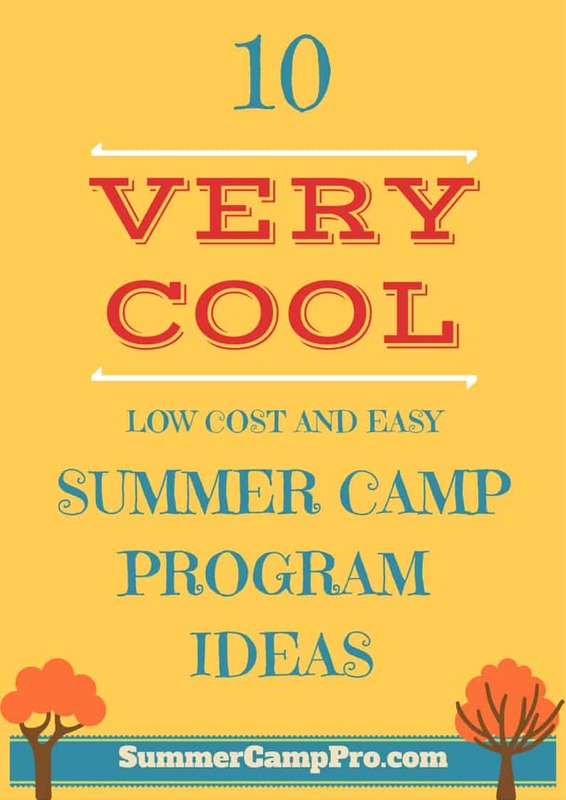 As camp and recreation professionals, many of us do some or all of the following – create programs, market those programs, find, hire, train and supervise staff, create systems to get more done, raise money, supervise volunteers, create and run events and much, much more. “Camp and recreation pros tend to wear a number of hats” is an understatement. We have a lot of experience in different areas of our businesses or organizations, so why not put that experience and knowledge in writing to help out those who are new to the field or whose strengths are in other areas of the job. 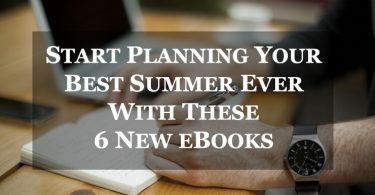 I myself have purchased many different books and resources throughout the years to help me out with those things I’m not particularly great at. By taking your knowledge and experience and putting together how-to guides, ebooks, PowerPoint presentations, templates or other downloadable content, then selling them on Patchwork, you can make a nice side income. The great thing about this is that you create the product once and then let it sell. Even putting together compilations of things like games, songs, skits, crafts, activities, recipes, etc. can make great resources to sell. You’ve written a how-to guide or ebook and uploaded it to Patchwork Marketplace. Why not reformat it to make it a Kindle ebook or a self-published paperback book through Amazon? It takes time, but it isn’t as difficult as it may seem. There are two platforms you can use to publish your Kindle ebook or your print-on-demand (POD) paperback book, CreateSpace and KDP. KDP is pretty new at the POD part, but is improving. Here’s a great article that compares the two. Have you wanted to invest but felt you didn’t have the money or knowledge to do it? Yeah, me too. That was until I found the Acorns app. Acorns is all about micro-investing. This means anyone, regardless of income can start investing. It eliminates traditional barriers to investing like account minimums, brokerage fees, etc. With Acorns you sign-up and register your debit card. Then you can set it up so that with each purchase you make, Acorns will round it up to the nearest dollar and deposit the difference into your investment account, making investing easy and painless. You no longer have to have a minimum $100 to buy one share of a stock or mutual fund. You can also set-up recurring deposits or boost your account any time you want. But, just with the rounding up of your purchases over time, your investment account grows like a tree, hence the Acorns name. Here’s the kicker, if you sign-up through my link you get $5 in your account to start with and I get $5 in my account. Acorns also plants an oak tree for each person who registers. Once you sign-up, you can invite people to register as well. Check it out. Here’s another app that helps you invest. This one is a little different, though, and one you should consider if you want to get your feet wet when it comes to investing. Robinhood is an app that lets you buy stocks and doesn’t charge you any fees. The best part is that you can get a free stock using this link. The free stock you get is random and most are worth around $5-10, but you might also get a high value one like Apple, Ford, or Sprint (up to $200). My free stock was with Groupon. You also get free stocks every time you refer a friend. So when you sign up we’ll both benefit. Then you can tell others about it and build your portfolio for free. Are you a creative person? You can make and sell crafts and other homemade items on Etsy. I know of people who sell wood projects, buttons, clothing, wands, and even old maps that they found at antique shops. Visit Etsy and take a look around to see all the neat things for sale. I am sure you’ll be inspired by something. Taking surveys online may not make you rich, but it is easy to do. 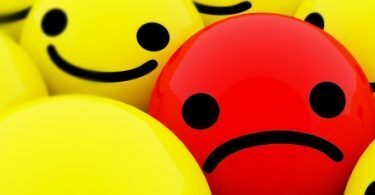 There are lots of sites that offer surveys, some are good and others are horrible. The two that I like the most (and are often recommended by others) are Swagbucks and InboxDollars. But, it’s not just surveys that they offer. You can earn cash or gift cards for watching videos, shopping online , eating out, playing games and more. Sign up using the links above and with Swagbucks we will both get bonus points and with InboxDollars you’ll get $5 and I’ll get 10%. Then you’ll be eligible to invite others as well. Do you have ideas you want to share with others? Do you enjoy writing? If so, perhaps blogging is something you should consider. This is no get rich quick plan, however. It will take lots of time to make any money, but it can be done. 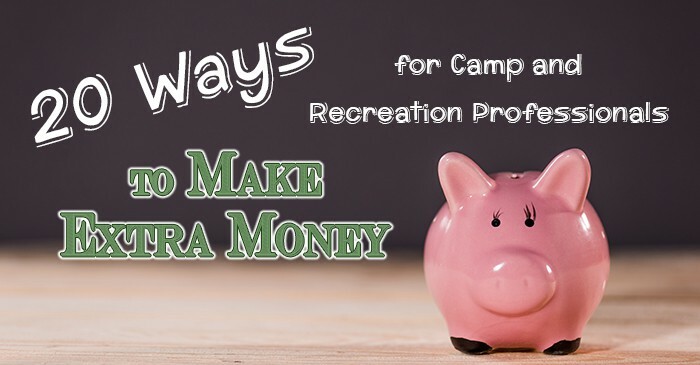 While I would LOVE to see more blogs specifically for camp and recreation professionals, odds are you won’t make much money, if any. That’s probably why there are very few blogs in this niche. The blogs niches that get the most traffic are mommy blogs, food/recipe blogs, travel blogs, fitness or weight loss blogs, lifestyle blogs and personal finance blogs. There are a number of ways you can make money through blogging. Ads are probably the most popular. Most bloggers will start with Google Adsense and then move on to working with and ad company once they have enough traffic. Affiliate sales, ebook sales, and sponsored posts are three other popular ways for bloggers to make money. 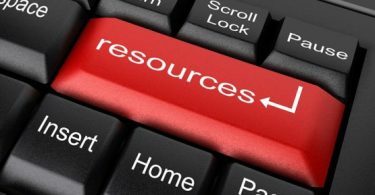 If you want to get started in blogging, there are many free courses that can be found with a quick Google search. Course sales have been growing steadily over the past few years. Once you create a course, you can sell it via a platform like Udemy or SkillShare or you can sell your courses on your own on a platform like Thinkific or Teachable. Putting together a course takes time, but if you have something to teach it could be a good option for you to earn a side income. You could even create a staff training course for other camps or recreation departments to show during training or to have their staff go through before their on-site training. Here’s another option that will take time. Like blogging, this is not something that will pay out right away. Yet, there are many YouTubers who are making much more than you and I are. The more videos that you put out the more likely you are to start earning a side income. Just make sure it’s either entertaining, informative or both and that whatever it is your doing on your channel, it has wide appeal. It would be very hard to make money on YouTube if your simply making announcements about your camp’s registration. YouTubers make money through the AdSense ads that run before, after and during the videos. But, that’s not the only way to make money through YouTube videos. Here is an article talking about other ways YouTubers earn a living. You may not be the next PewDiePie or Justin Bieber, but being a YouTuber could make you a nice little side income and gain you a bit of fame within your circle of influence, as well. If you live in an area where Uber and/or Lyft operate, you can get paid for driving people from one place in town to another. Many people of all ages and walks of life are doing this as either a side gig or full-time. I often use Uber and Lyft as I travel. I have been driven around in a Prius, Lexus, full-sized Ford truck and everything in between. The benefits of driving for Uber or Lyft (and often drivers work with both companies at the same time) is that you make your own hours, you get tips, you meet new people, and you decide if you want to take a fare or not. Check to see if Uber or Lyft are in your area, register to be a driver and provide your insurance and DMV information, wait for them to do their background check and you’re all set to make some money. If you have some skills in graphic design, writing or editing, digital marketing, animation, music production, computer programming, teaching, drawing or anything other skill that people might pay you for, list your services on Fiverr. While most services start at $5 as is evident in the name Fiverr, these days sellers on the platform have different tiers of service that are priced much higher than $5. Take a look at the site and check out all the neat services people are offering. I, myself, have had graphic design, website programming and voiceover work done through Fiverr. If you work at a camp or for a city recreation department, chances are you have access to a commercial kitchen. See if you can use it to make food to sell. From baking items to canning fruit and selling them at local farmer’s markets and events, there are so many food items you can package and sell. One person I know makes and sells jams and he sells a lot of them. From what I’ve read, teaching with VIPKid is a rewarding experience. All you need is a stable internet connection. They provide all the materials. You don’t have to speak Mandarin. Most of the teachers don’t. If teaching English to children in China sounds like something you might be interested in check out VIPKid, rated #1 on Forbes Top 100 Work at Home Companies list. This one seems a bit obvious, yet most of us don’t think about it. There are a lot of parents who would rather hire a camp or recreation professional adult simply for the peace of mind. They would rather pay you more per hour than the 15-year-old down the street because they know you are mature, responsible and have a lot of experience with youth. 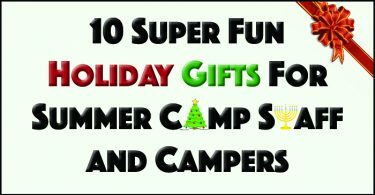 You can let your camper’s parents know your available or put up flyers at the local laundromat, but I would suggest signing up for a service like Sittercity.com. Most of us purchase our camp shirts from companies we have been referred to or seen at a conference expo. Many of us have even hired said company to design our shirts. But, have you ever thought about designing and selling your own – not for camp, but for a side income? You don’t have to be an expert designer. You can just add text to a shirt and sell it through companies like TeeSpring, Red Bubble or even Merch by Amazon. I have used them all. I have some items on Redbubble and even a few shirts on Amazon. Okay, this one won’t make you rich, but it’s a good way to motivate you to be active and get in your daily steps. StepBet is an app that pays you to meet walking goals. The way it works is that you pay into a game (usually $40), and if you meet all your step requirements for each week, you will split the pot with all the other winners. Of course, StepBet takes their cut first, but you will always get at least your $40 back. Most games last 6 weeks. There are always people who cannot make it all 6 weeks for one reason or another. If you meet your daily/weekly goals you usually end up with $45-$50 ($5-$10 over your initial “bet”), but it can sometimes be more. They now have a membership option that is $50 for the year. With the membership you can participate in members only games where StepBet doesn’t take a cut. The whole pot is distributed between the “winners”. Plus, you can participate in up to 3 games at a time. So, while $20-$30 per month doesn’t seem like much, all you’re doing is walking and getting into better shape. Just don’t miss out on getting all your steps in. This seems to be in many of our wheelhouses, does it not? I have planned a few birthday parties and a few events for parents who have paid me to do so. This was on my own time, of course. Put together a few great events and your reputation will grow quickly. Let parents know that you are available to design and run birthday parties and other events like family reunions. Do not offer to provide staff unless you want to. Just tell them you will plan it and be there to run it but that family members may need to help out. This can be as big or as small as you want. If you want to go big, you could hire entertainers and caterers, put up all the decorations and hire staff. If you want to keep it small you can design the party and had over the step-by-step instructions to the client, including where to buy decorations and hire entertainers. It’s all up to you. Start by meeting with the parents and getting a feel for what the child is into. I once designed a scavenger hunt that took the kids around town in teams. It was based on the 39 Clues book series that the birthday boy was really into. Planning for family reunions, work parties, graduation parties and more can all be a part of your side business. Here is a fun idea. Create a few portable escape room games that can be set up in a 10×10 pop-up tent, in a hotel room or in a home. 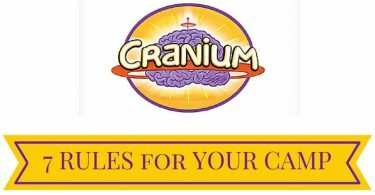 Offer to run your games at birthday parties, conferences, family reunions, high school reunions or any other event. Pop-Up games like this usually run for 10-15 minutes, but you can have longer games available as well. There are lots of different options when it comes to purchasing an escape room plan, from the horribly cheesy to the utterly expensive. For around $100-$200 you can purchase professional plans for a 10-15 minute game (or a 60 minute game for around $500) that won’t require electronic props. The props and supplies will usually run you around $500 (unless, of course, you want to add in electronic props in which your cost could be in the thousands). Purchase an EZ pop-up tent and you’re ready to go. If you’re creatively inclined, you can design your own games. If your a decent photographer, there are a number of avenues for you to take in order to make some side income. Here are three ideas. Offer people in your area photos of their pets, vehicles, homes that they plan to sell, kids playing sports, etc. Sell your photos on stock photo sites like iStock, DreamsTime and DepositPhotos (which are all seriously lacking in camp and recreation photos). Learning how to use Photoshop will help you greatly as a photographer. There are so many neat things you can do to enhance photos. If you enjoy perusing Craigslist, visiting garage sales, or hunting around in antique and thrift shops, this may be for you. You can make good money buying items and reselling them. They don’t have to be collector’s items that you were lucky enough to find (though I did turn a $1 box of baseball cards into a $150 profit when I was a kid), people are always looking for random things. Find something you know about and/or are interested in and make that your niche item that you hunt for and resell. You can resell things on Craigslist, eBay, your own garage sales, etc. Buy low and sell high!